The required tools: combs, curls. 1. Use your comb to comb your hair. 2. Combine your own hair with a clip. 3. 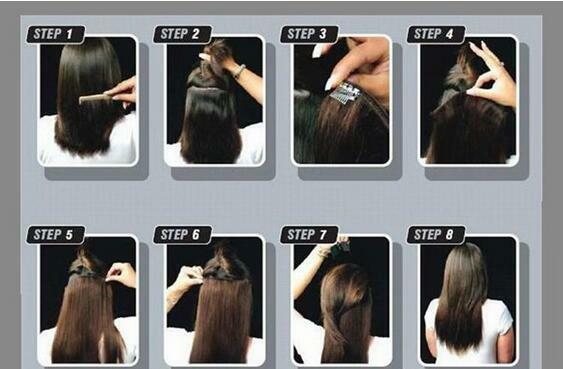 Will not tie the bottom of the hair, separate the two layers. 4. Take a clip and fix it with a clip. 5. The use of small pieces of hair clips fixed around the ears on both sides. 6. Spread out the top of the hair, with a clip fixed with a clip to live, comb the hair. 7. Once finished, comb with comb. 8. More short hair, can be set behind the ear.